Santa Monica is one of the great places to be in the world, not just California. 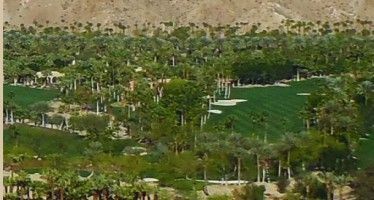 It has incredible weather, often in the mid-70s in August when the San Fernando Valley is baking, lots of great restaurants and a surprising number of really cool used bookstores. It’s not as rough as Venice or as snotty as Brentwood. Which brings us to the usual arguments in defense of insanely high pay for police officers. Does the following really have to happen in Santa Monica to attract a decent police force? In a city where leaders brag of “historic lows” in crime? I refuse to believe it. 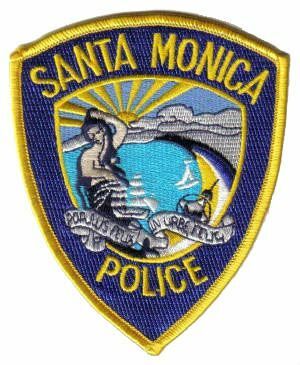 “Twenty-eight members of the Santa Monica Police Department made more than $200,000 last fiscal year, according to documents provided by City Hall. “Santa Monica consistently has some of the highest paid police department members in Los Angeles County, according to State Controller’s Office records from the past several years. “Four captains, five lieutenants, 12 sergeants, five officers, the deputy police chief, and Chief Jacqueline Seabrooks make up the list. “The top paid member, a sergeant, made $314,360. Next in line, another sergeant, made $268,817. That’s from the tiny Santa Monica Daily Press. Unlike a lot of newspapers, both large and small, this one understands the importance of context in pay and compensation stories about public employees. Little, peaceful Santa Monica has more cops making $200k a year than, yes, its immense neighbor to the east, south and north. “This fiscal year, the department has a budget of $77 million and 206 uniformed officers. Now why is this happening in put-upon Santa Monica? There does appear to be an unusual amount of overtime paid for by private businesses. 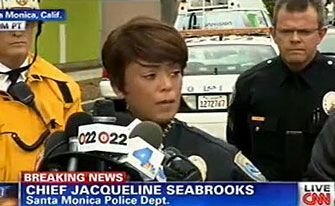 But there’s also the fact that Police Chief Jacqueline Seabrooks sounds just like the head of the police union when talking about how wonderful Santa Monica cops are and why comparisons with other cities are, for some reason, just not fair. It’s a great example of the Metropolitan Water District of Southern California governance model. When the bureaucrat at the top of the management chain benefits from insanely generous compensation practices, he or she is way less likely to try to challenge or change those practices. “Alhambra, which is one of the closest cities to Santa Monica in Los Angeles County in terms of population size, has an annual police budget of about $22 million. No members of the Alhambra Police Department made more than $200,000 in 2011, the last year that wage information was readily available on the State Controller’s website. It should be noted that Santa Monica drew more than 7.3 million visitors last year and Alhambra is not a tourist hub. “Redondo Beach, which is a tourist destination but has a little more than two-thirds of the population of Santa Monica, is spending $33.6 million on its police force this year. Redondo’s Chief of Police topped their list at $201,000 in 2011, according to the State Controller’s Office. So how can these big gaps with similar cities be? That was what the Daily Press asked Seabrooks. Her answer was gibberish — completely vapid and empty spin. “There are a number of factors to take into account when breaking down Santa Monica’s well-paid police department, Seabrooks said in an e-mail. “’Any treatment I would give here would not be sufficiently expansive to provide the appropriate understanding of the dynamic,’ she said. It’s 2013. We’ve been hearing about stuff like this for a decade. When will it ever stop? Drat! They went to the Rizzo seminars on “How to Succeed in Public Service Without Even Trying”. When I was a kid in a gritty steel mill town with mucho high paying manufacturing jobs….. people felt sorry for postal workers and government clerks shuffling paper for poor pay. Cops made their money from bribes. The mayors where egomaniac wearing shiny pants and stained neck ties, practically unpaid volunteers, presiding over non eventful public meetings few attended. Now we have dumbed down public school uneducated voters waving tip jars at us in globalists’ exploitive service businesses while “public servants” are the nouveau rich. Gotta love it, a HS educated job, a cop, making more than medical doctors with 15 years of college! Biggest fraud, graft, scam in America today. If you wear a magic blue uniform you’re pretty well set. Paid like a physician and effectively immune from lots of laws that we peasants must obey (or else). What a gig! But you elected the politicians who created that system for the magic blue. You know, the ones who claim to represent you, the taxpayer. Both D’s and R’s.  I agree with your cops comments – way, way overpaid. Better check your metaphors though. Look into how much physicians are getting these days. Not so much. Especially in light of the $500K or so they needed to get to practice medicine. BTW, I’m not in the med business – a retired engr. The beauty of the early stages of fascism.. Suppose one of those officers made $100K in overtime (over one year) at these parties and then retired with that overtime included in their “pensionable compensation”. If they have 30 years in, their pension is 90% of pay, so that $100K cash increment adds a COLA-adjusted $90K to their ANNUAL pension …. with a lump sum equivalent “value” of almost $1.5 million. I’ll bet dollars-to-donuts the Taxpayers are the ones being snookered for the extra cost of the increase to their pensions. Let the party-givers hire their OWN security …. or DIRECTLY hire off-duty police WITHOUT the bump in their pensions … on the Taxpayers’ dime. Santa Monica PD is a member of CalPERS, TL. Overtime pay is not pensionable compensation under any CalPERS retirement program. Thank you for clarifying that …. I knew some locations do not include overtime, and some do … perhaps the charter cities. Clearly in the locations where overtime IS included, the issue I raised in my last comment is a BIG deal. Taxpayers should NEVER be picking up such incremental pension costs. What does Ragwis stand for again? Ah….Donkey your back…..betcha Teddy and Skipping Dog missed you too……Rizzo has been busy………may the RAGWUS be with you! Hahaha, may the RAGWUS be with Donkey!!! I got nothin but love for ya Donk!!!! There is no (I repeat NO) cop that is worth more than $200K a year. This is f**ing rediculous. This way, eay above what you could get qualified people for. Cops are paid way too much relative to the market. Let’s see what would happen if there was no Cops union. Hey if they put in the hours then they deserve it!! Let’s see what would happen if there was no Cops union. You would probably see a lot less cops on the streets and higher crime rates all around! Police depts would be run similar to a Walmart type security force. Man, you sovereign citizens are crazy!!!!!! The comments here are pretty laughable. Hate cops all you want, if you actually read the article, only a handful of people made over 200k who weren’t command staff (aka: Put in a substantial portion of their lives into law enforcement). Out of the 28-people making that money, they basically show the highest-level commanders making most of that money. 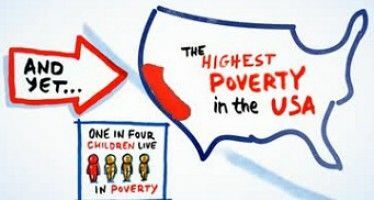 So basically, if we compare a business CEO and executives (who have no education requirements mind you) of a 205-person business, they make substantially more! Yet, for some reason if the police department manages the same amount of people, and gets paid way less, they are vilified. Get over yourselves. If you want to work hard, make a good living, and serve something bigger than yourselves, then sign up and make the money too. Otherwise, don’t complain when someone is willing to run towards the sound of gun fire while you run to hide. Yes, I’m a police officer. Yes, I am thankful for having a well-paid job especially after serving in the military (Marines) and having my master’s degree. Despite the stereotypes, no one wants to shoot anyone at my police department, and almost everyone has some form of advanced degree. As difficult as the drought is for California, it’s wonderful to know that President Obama cares and is helping out.